WelcomeHealth provides quality medical care, dental care, and support services in partnership with other community resources to low income individuals regardless of their ability to pay. WelcomeHealth provides opportunities for and encourages a spirit of volunteerism and service to the community. 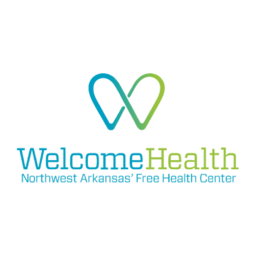 When we first opened the doors of the Northwest Arkansas Free Health Center in South Fayetteville in 1986, it was for one purpose - to welcome all residents of Northwest Arkansas with consistent, quality health care. We were determined to make certain that there were no barriers, financial or otherwise, to that welcome. Our name changed to WelcomeHealth in 2015, but our mission remains the same. All who qualify are welcome here. All are treated with respect and dignity, and all receive the best care available. We are here for the uninsured, underinsured and the insured alike. You can rest assured that we will welcome patients regardless of their ability to pay. We have decided to focus on raising awareness of healthcare projects affecting our less fortunate residents of NWA. Our goal is to raise $3,300 in honor of 33 years of WelcomeHealth's mission of providing free medical and dental care to those in need. Every penny from this fundraiser funds projects that provide FREE medical and dental care to our hard-working neighbors that cannot afford quality care elsewhere. By treating those that are uninsured or underinsured, we are making a better community for all. Healthy people make better employees, students and community members. WelcomeHealth is a stepping stone to better health and quality of life.